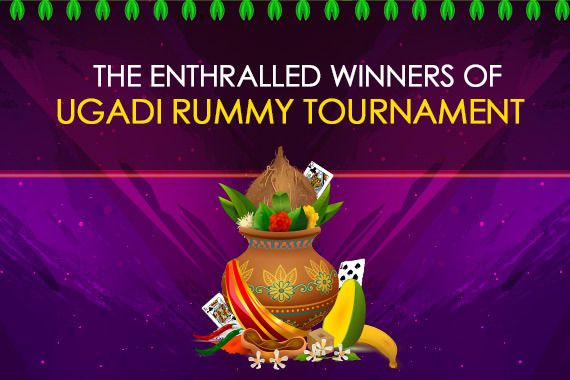 Adda52 rummy is pleased to announce the smashing success of Grand Ugadi tournament which took place on the website on 18th of March. The event was a crowd-puller and enjoyed a great deal of success as hundreds of recreational as well as famous rummy pros from across the nation participated to play rummy online and win their share from the whopping total prize pool of Rs. 8 Lac. 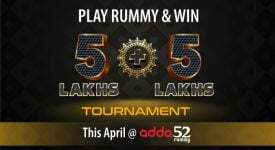 Adda52 Rummy organized this big tournament exclusively to honor the loyalty of rummy players towards the website and the registration fee was only 8 loyalty points. We are thrilled to announce the Winners of Ugadi Rummy Tournament, 2018. The competition was tough and the action was fierce where participants used the best strategic weapons from their arsenal to knock out opponents and claim the title of the champion. These players accepted the challenge of not cracking up under pressure and impressed everyone with their exceptional gaming skills. Here is the list of top 10 players who played really well and made it to the headlines in Indian rummy circuit. 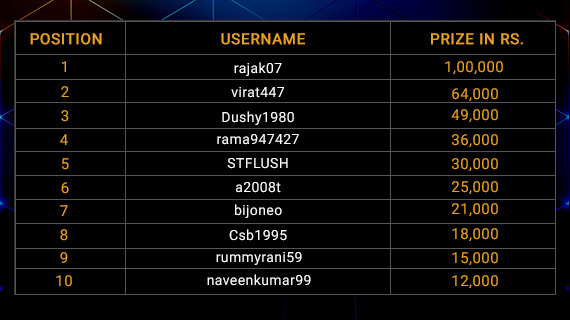 The player who managed to reach the top spot is “rajak07”, who took home Rs. 1 lac as his share from the gigantic prize pool. Player “virat447” finished second and won his share which worth 64K, by proving his rummy skills against the giants of the game. 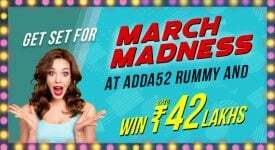 Adda52 Rummy, India’s leading online rummy website, is steadfast in achieving its ultimate goal, which is to mesmerize Indian rummy players by consistently delivering something new and “out-of-the-box”. We believe in providing plethora of playing opportunities to rummy enthusiasts to boost their bankroll and fulfill their dream of making it big in the rummy industry. 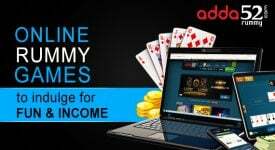 The website designs big rummy tournaments with large guaranteed prize pools like Grand Ugadi which website users can join without investing money by using their loyalty points. It is evident from the outstanding success of Grand Ugadi tournament that Indian players love innovation and how keen they are to experience the excitement and adrenaline-rush of playing against highly skilled opponents in a world-class gaming environment. We congratulate the winners again for their phenomenal achievement and thank everyone who participated and made this event a grand success. The site is committed to experiment and continue setting new standards to maintain its status of being the most loved online rummy portal of Indian players. Stay tuned as we are going to announce more exciting cash games and tournaments with hefty prize pools attached to them in the upcoming months. 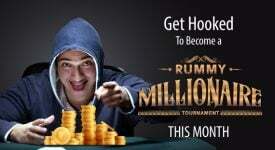 Win Grand Ugadi Tournament for Prize Pool of Rs. 8 Lacs! !